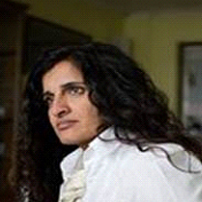 Manjit has over 20 years of business expertise under her belt and has been involved in 7 startups prior to Binti. Her flair for finding opportunities has taken her around the world and she has international experience in the business arena. Her role as a mentor for a business woman in Kenya with the Cherie Blair Foundation led her to start this project. Her mission is to create a huge, social impact whilst generating a sustainable organisation. As a British Indian, providing basic hygiene for women in India has become her obsessive, compulsive dedication to making a change.